Nestling in the Inn Valley surrounded by mountains it is easy to see why Innsbruck, the capital of the Austrian Tyrol, is a major centre for winter sports enthusiasts and summer hikers alike. The Austrian Tourist Board describes Innsbruck as a place “where rugged Alpine nature meets modern lifestyle” and last week’s trip on the blog up to the Alpenzoo on the Nordkettenbahn well illustrates this. Back down in the city itself though we discovered just what a rich, colourful and sometimes turbulent history this charming city has had. Starting with my trusty Eyewitness Travel book on Austria I had done a reasonable amount of research before we arrived and one part of town that I was definitely keen to explore, given my love of history, was the Altstadt. We were fortunate enough to be staying at the Hotel Innsbruck (more on that later) on Innrain the street that runs along the south side of the River Inn. We literally stepped out of the front door, admired the painted buildings on the opposite side of the river and then turned right into the heart of the Altstadt. 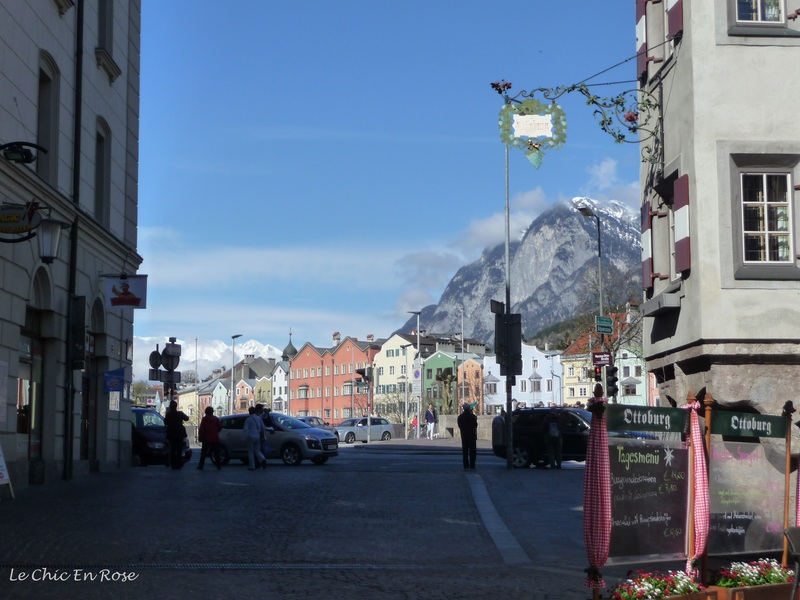 Innsbruck’s Altstadt – view back towards the River Inn. There has been a settlement in the Innsbruck area since ancient times. It was part of the Roman province of Raetia and in those days was called Veldidena. It developed at a major junction point where the road going north from modern day Verona in Italy via the Brenner Pass, met the road heading from west to east downstream along the River Inn. By the middle ages the Tyrol region was being disputed between 2 major dynasties, the Bavarians and the Hapsburgs. However in 1363 it was finally handed over to the Hapsburgs who controlled it for many centuries thereafter. It was actually a junior branch of the Hapsbrug family who ruled over the Tyrol and they carved out their own unique customs and traditions. Their heritage is very much in evidence today intermingled with all the shops and trappings of a modern city. The Altstadt is a veritable treasure trove of buildings dating from the Middle Ages with each generation seemingly adding its own individual touch. 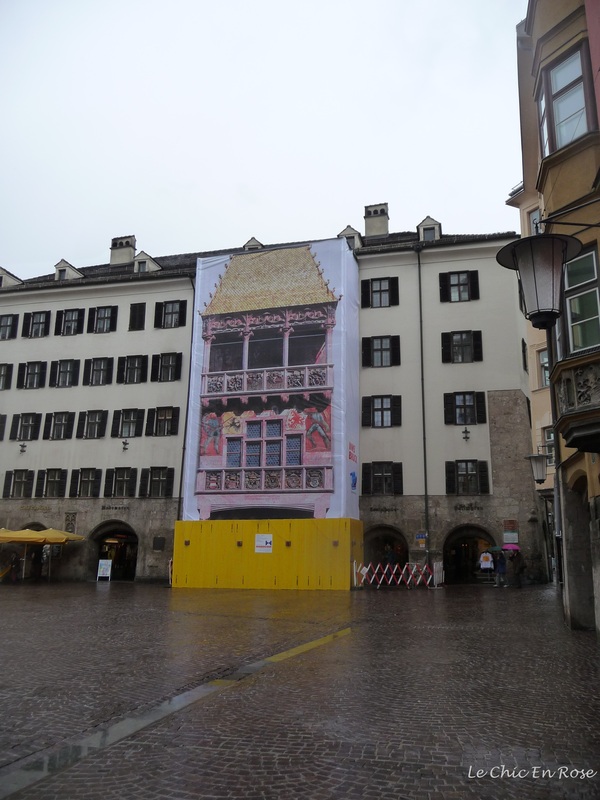 Unfortunately when we visited, the Goldenes Dachl (Golden Roof), possibly the most famous symbol of Innsbruck, was undergoing renovation works so seeing it in its full glory will have to wait for a future visit! At least the builders had tried to give an impression of what it should look like! Goldenes Dachl undergoing renovation works! Our disappointment and the inclement weather that persisted for most of our visit aside, we enjoyed our wanderings around the Altstadt (Old Town) Square the highlight of which is normally the Goldenes Dachl. It was an addition by Emperor Maximilian 1 to the residence of the Tyrolean sovereigns to mark the occasion of his marriage to Bianca Maria Sforza and was completed in 1500. The roof is not actually made of gold but rather gilded copper tiles of which there are over two and a half thousand! After their wedding the Emperor and his family apparently used the balcony as a vantage point from which to watch the festivals and tournaments that used to take place in the square below. Nowadays the Innsbruck Christmas Markets are held in the main square, which must be a magical spectacle! Mozart stayed at this old Gasthof-Hotel. Typical little streets criss cross the Altstadt. The old signs give you an idea of the dates of buildings. There are a myriad of hotels and eateries in this part of town and during April, which is traditionally low season, we had our pick of places to go to. We never needed to wander too far from our hotel to find somewhere to eat each evening. We visited in spring when thoughts are turning from heavy winter stews to (slightly) lighter meals and one of the highlights were the dishes made from weiss spargel (white asparagus) that comes into season around then. This time of year is in fact known as Spargelzeit (Asparagus season) in many German speaking regions and usually starts around mid April. We tried soups, mousses and weiss spargel accompaniments to fish and meat and all were absolutely delicious. The Tyroleans are well known for their wonderful hospitality and we were greeted by friendly staff wherever we went in Innsbruck. We left feeling extremely well fed and watered! Weiss Spargel (white asparagus) was in season in April and the menus refected this. It is simply delicious! The Dom St Jakob is a beautifully preserved Baroque Cathedral adorned with impressive artwork and frescoes. We were amazed by the intricate interior of the cathedral typical of the Hapsburg era and reminiscent of Viennese imperial buildings without (in April at least) the inconvenience of large crowds. Another major drawcard of the Altstadt area is the Hapsburg Imperial Palace – the Hofburg. The original palace was constructed under Archduke Sigismund around 1460 and was gradually extended over the next 250 years before undergoing major renovations in the Rococo style under Empress Maria Theresa in the 18th century. It has a wonderful backdrop in the imposing form of the Nordkette alpine range and in fact Congress Station from where we started our journey up the mountains to Alpen Zoo and Hafelekar (see here) is close by the palace. We did not have time in the end to tour round the Hofburg itself (too many other attractions taking priority) though we did fit in a visit to the imperial church, the Hofkirche. This Gothic church was built in 1553 by Emperor Ferdinand 1 (1503-1564) in honour of his grandfather Emperor Maximilian 1 (1459 -1519) and contains a mausoleum to Maximilian that can best be described as dark and oppressive although I’m sure that was not his grandson’s original intention. The tomb is surrounded by large marble statues which depict various ancestors, relatives and heroes of the deceased emperor. The irony is that it is in fact an empty tomb – in the end Maximilian was left to rest in peace in his original simple tomb in the castle chapel of the Wiener Neustadt! Finally back to our hotel, the Hotel Innsbruck which was our home from home during our stay in Innsbruck. It was a comfortable blend of the old and the new, still retaining its old town charm along with the mod cons of the 21st century. The clientele from what we could see were a mixture of business people and local visitors and tourists alike. It all worked perfectly well – the business folk had their breakfast early and the visitors came along at a more leisurely pace later. We had our favourite spot by the window where we could look out to the old town streets until the final morning where we were beaten to it by a young family. Another nice touch were the photos mounted on canvas of Innsbruck past and present, which decorated the hotel lobby and the corridors on each floor showcasing Innsbruck to full effect in excellent weather! I’ve only seen a tiny bit of Austria driving through from Munich to the Czech Republic. Your post reminds me that I have so much more to see. Was this area damaged much in WW2? I especially love the old original buildings drenched in history. I’ve never really thought much about visiting Innsbruck but the post makes me re-consider–I can’t imagine a much more amazing setting and the city appears to have lots to offer! Loved that wander around the Altstadt Rosemary! I went to Innsbruck as a backpacking student and although we’ve been back to Austria since then, never returned to Innsbruck – think I’ll have to do something about that, it looks gorgeous, I definitely didn’t appreciate it fully in my student days. Shame about the golden roof, but what a great and creative way to cover a building while it’s undergoing renovation. Much better than dreary old scaffolding. The hotel sounds perfect too! Thanks Joy am glad you loved the Altstadt tour – I could wander around all those old streets for hours I just love the character of the place 🙂 We found Innsbruck to be a great base for touring too – we went to northern Italy and Bavaria from there on day trips. We’ve been to Salzburg a couple of times (including from Innsbruck) and it’s gorgeous too but in a much more touristy way. We just felt that Innsbruck has a special charm that is often overlooked so I thought it would be worth focussing on for a few posts and I’ll finish up next week as there was too much for this week’s post! We definitely plan to go back there and hopefully we can see the Goldenes Dachl in its full glory too:) It was a good thing they had put the drop cloth over it as we’d been wandering round for a while trying to find it! I can recommend the hotel – it’s in a great location on the river and was just round the corner from where I took the photo! We felt very at home there 🙂 Have a lovely weekend! The cathedral is magnificent! Stunning mountain view, Rosemay! Thanks Amy we loved the cathedral it was such a beautiful place 🙂 Innsbruck has a wonderful setting with the mountains behind it! A great post Rosemary. I enjoyed the history as much as the photographs. Your blog is such a great resource! We have just driven by Innsbruck and I know people from there. It looks like a great place to visit. Something to plan for spring. Thank you! It looks like a really nice city. I love the mountain in the back, and all the colours of the houses. It is really beautiful. 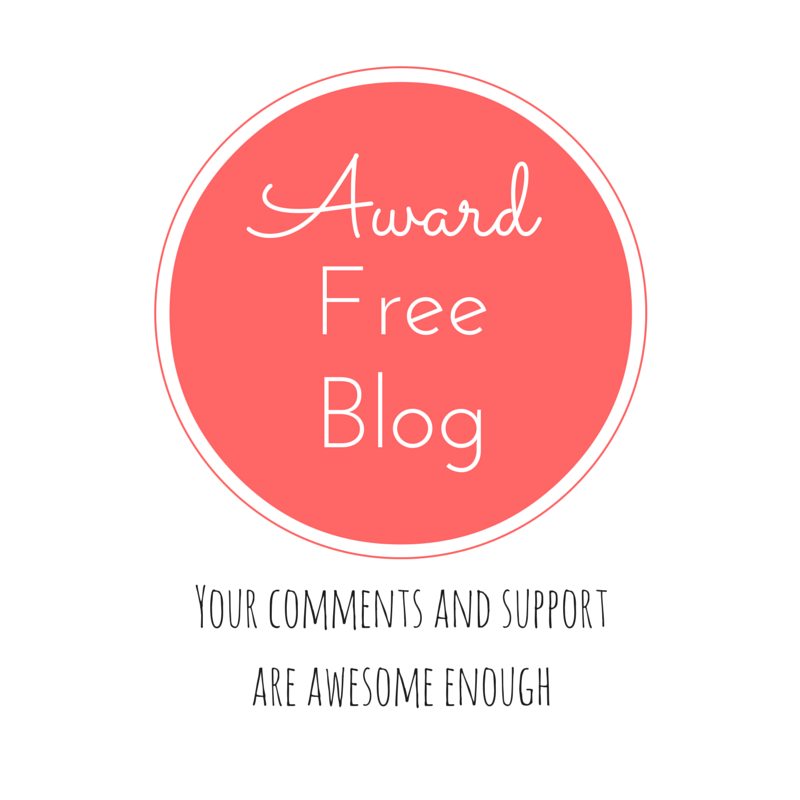 Rosemary, I have nominated you for 4 blog awards. Haha, yes 4! Because I really enjoy your blog! It is one of my favourites. If you want to accept it or not is up to you. There is no pressure! Beautiful pictures of Innsbruck! That’s too bad that the Golden Roof was under construction. I have to be honest, I was a bit disappointed in Innsbruck when I went for a day (as a day trip from Seefeld). And I remember seeing the Golden Roof, the highlight of the city, and thinking that it was an underwhelming thing to be the highlight of the whole town (it’s quite small!). So perhaps you didn’t really miss too much. But it was beautiful to walk around and see the mountains in the distance from the city! Thanks Amy am so glad you liked it 😃 We found Innsbruck very charming and in fact I’m working on another post on attractions outside of the city centre for this week! Beautiful pictures! Makes me feel like I have been there just by looking.